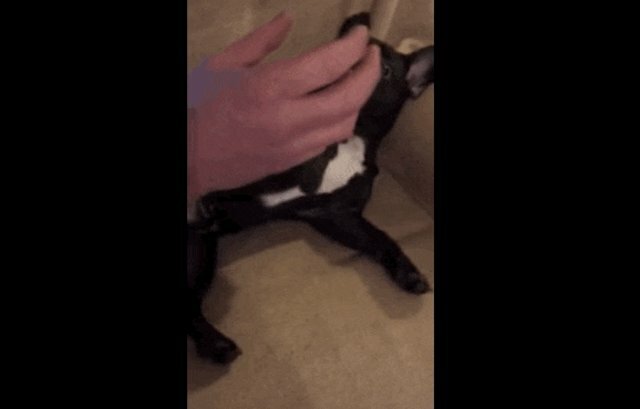 Winston the French bulldog can't help himself - he actually enjoys being tickled by his owner! I mean what could be more wonderfully exciting than a tickle-fight? The anticipation is half the fun, of course. Although the tickling itself feels pretty good too. 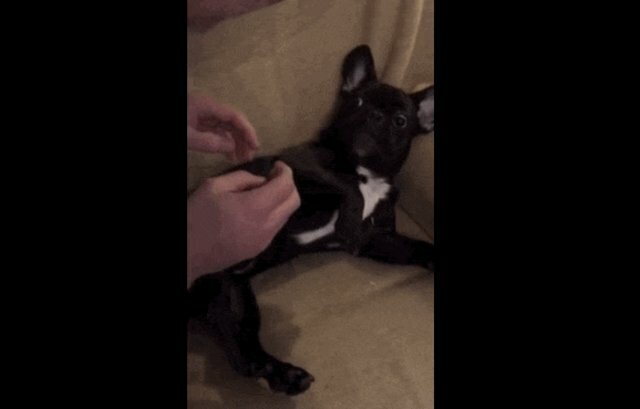 It's like getting your belly scratched, but way more exciting! When the tickling is over, though, Winston seems a little perplexed - where the heck did all the tickles go? 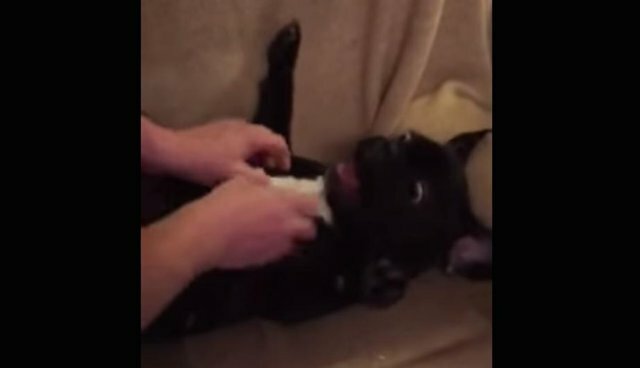 While it seems too adorable to be true, some pets are actually "ticklish" in certain areas. 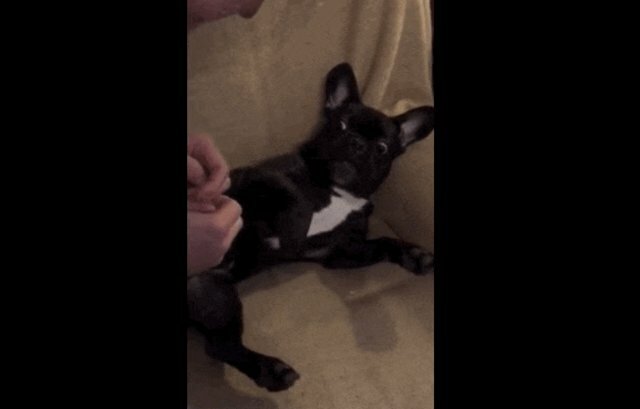 While their form of ticklishness seems to be more of a knee-jerk neurological response than a laughter-filled reaction, most pets do enjoy being tickled. That said, it's always important to pay attention to your pet's body language and response when you do this, so you can make sure he isn't showing any signs of distress during a tickle-fest.